A Residence Permit for Portugal-The Golden Ticket! Portugal has been a member country of the EU for over 25 years! In 2012 Portugal became an easier place to receive a residence permit. Like many of the Schengen Member Countries, Portugal allows non EU residents to purchase property as a way to become residents of this beautiful, economically thriving country. The new Golden Residency Program is aptly named because it is a golden opportunity for anyone that wants an easier route to EU countries. We offer a full consultancy service to help you and your family to get a residence permit in Portugal. We make what is historically a process chock full of red tape one that is seamless. One of the largest obstacles to getting a residence permit for Portugal is finding the right property! We understand how frustrating it can be an international investor to find the ideal property for a residence permit in Portugal so we have a network of professionals that can help you to find property in Portugal for the purpose of securing a residence permit. • Minimal real estate investment. • Easy to understand tax acts. Unlike other countries Portugal has short processing times for residence permits, as long as you meet the criteria your processing time will be short. With an investment of €500,000 (in some cases it can be lower) in any real estate (commercial or residential) you will be able to apply for residency. The economy in Portugal is stable as is the government so it is a great place to make an investment in real estate. As one of the consumer choice destinations you will be able to watch your property value increase over time. We are here to help you locate the right property in Portugal to meet residence permit requirements. Portugal is a beautiful country that offers a vibrant lifestyle which makes it an ideal place for families, couples or individuals. There is a thriving tourist economy that can easily support the right business model. Our business consultancy can help you to set up the right business. The tax laws are transparent and easy to understand which is a great benefit to a foreigner with a residence permit. We also recommend Portugal because it is a Schengen Area Country which allows free travel to the other 25 area countries. One of the nice things about this opportunity is that the investment does not have to be in the government like it is in other EU countries. Your investment in real estate in Portugal is an investment that will improve your personal finances. It is an investment that has the potential to provide you with a very sizable return. • Purchase a property that is free of liens or mortgages. We will help you find property! • It can be multiple properties as long as the amount sums up to a €500,000 investment-we will discuss all the real estate options with you. On a larger scale these requirements are very minimal when you compare it to other country’s requirements. We can help you from the beginning of the process to receiving the permit. All you really need to do is to secure our services and we will take care of the rest. Innveso Consulting has perfected the process of securing residence permits. We bring the experience you need to help you navigate this process easily. 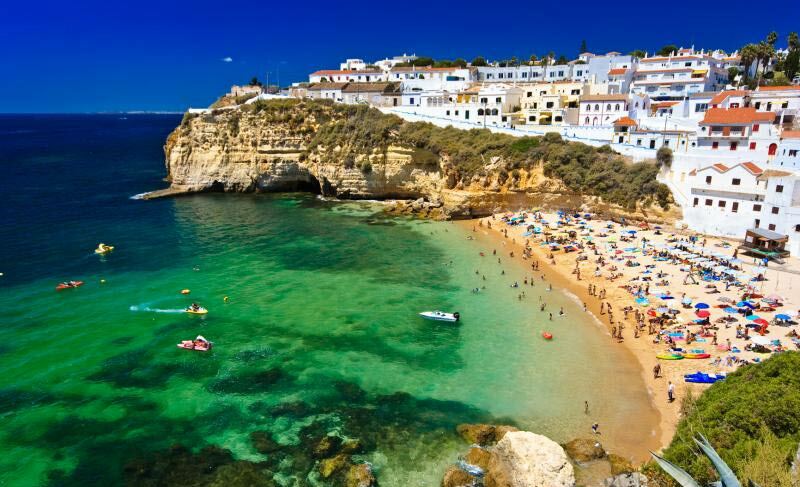 We offer a complete turnkey option to help you get through the process quickly and be on your way to Portugal. • 100% transparency, we will produce all of the filings and documents that we have prepared for you at any point in the process. • We will notify you immediately of any changes. • We will review all the residence permit fees that are associated with the process. We offer a 100% transparency guarantee. Getting started is easy! Contact one of our highly skilled agents to further discuss your options for securing a Golden Visa in Portugal. Our consultants will provide you with all the information that you need to make an informed decision. Of course there are other details that you will need to review to make your decision and we are experts in the details! The consultation is free of charge and can give you all the details about the services we can provide, the costs and the best avenue for you to take.